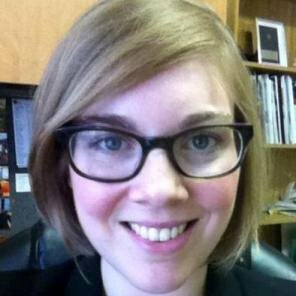 Young Alumni Fundraising – Part I | What Gives??? YOU CANNOT IGNORE YOUR YOUNG ALUMNI!!! Do I have your attention??? Good. I wanted to start this post off with a bang. 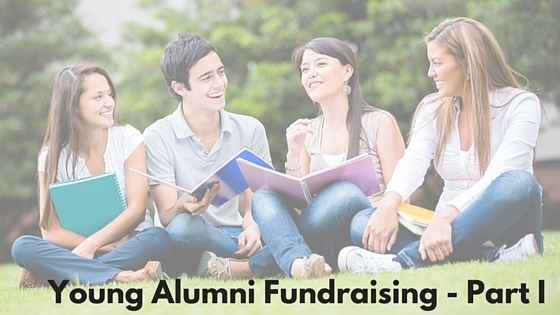 I’ve engaged in a few discussions lately, some in person and many on LinkedIn, about how to approach young alumni fundraising. The opinions are varied, but I’d like to share mine here. I’m going to start with the obvious: why do alumni give? Say it with me now: because they are asked. There are of course myriad reasons why, but that one has always been #1. How can alumni give if they’re not asked??? The same goes for young alumni. If they aren’t given the opportunity to donate to their alma mater, they very well may not. I’m being very facetious, but believe me, I get the approach. It comes from a place of compassion. But here’s what it comes down to: what hurts you more??? Asking from the get-go and risking bothering a small percentage of alumni? OR not asking and not communicating with your alumni for a number of years and risking a larger percentage of alumni becoming totally disengaged as a result? So of those four reactions, only one results in a gift, but two of them result in increased awareness and alumni engagement, and only one would really be considered a negative reaction. Then let’s say you send this same class solicitations for the next five years. Five years later, you’re mailing to less people because some of them have asked not to be solicited, so the group you’re now reaching out to aren’t necessarily opposed to receiving these letters. This is an informed group of people, and maybe the person who gave $25 last time is now giving $50 and the person who liked to hear about what’s going on now has more of a disposable income, so they’re giving $25. See how things have started to change? And that brings me to my next point: your current young alumni are your major donors of tomorrow. It’s just the plain truth. Every one of your loyal, engaged, and generous donors started as one of your young alumni however many years ago. But they didn’t start giving only when they made their first million, did they? They’ve always cared about the school, and every time they were given the chance to give back, they did. They didn’t necessarily make those opportunities for themselves though, did they? You asked. Some of my favourite stories about philanthropic giving are about the quiet donor who gives a modest amount every single year, over and over and over, usually in response to a phonathon call or a direct mailing. And then one day, they pass away and leave behind a 6 or 7-figure gift in their will. They weren’t on anyone’s radar for a major or planned gift, but we kept asking and they kept giving, and they weren’t complacent about it; they cared. And they started as a young alumnus. Are you with me? We can’t ignore young alumni!!! Well, I’ve got some thoughts and opinions on that, too, so I’ll be back in my next post – Young Alumni Fundraising – Part II with the answer to that question. Let me know what you think about this post in the comments, or tweet at me @fundraisermaeve. Thanks for reading! This entry was posted in Annual Giving, Charity, Donors, Educational Fundraising, Fundraising - General, Philanthropy, Universities, Young Alumni and tagged alumni, alumni relations, annual giving, charitable giving, educational fundraising, independent school, major giving, philanthropy, solicitations, young alumni by Maeve Strathy. Bookmark the permalink. Pingback: Young Alumni Fundraising – Part I « The HBCU Foundation, Inc.
Pingback: Barista to CEO: Young Constituents | What Gives?? ?